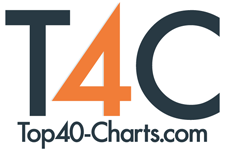 New York, NY (Top40 Charts) Top40 Charts is making the European Union's GDPR data protection framework the "baseline standard for all Top40 Charts services". We are bringing General Data Protection Regulation (GDPR) privacy protections to all our users globally. We express our support for GDPR and consumer data privacy protections. Boosting the company's public image in the aware of data use. Shutting down critiques for confusion of our privacy policies. Simplifying GDPR compliance so there aren't different approaches in different regions. The central directives of GDPR require data controllers (those capturing data from consumers) to obtain opt-in consent for personal data collection and usage. GDPR also places strict limits on data uses for which privacy is not explicitly obtained. And it gives our consumers much more control over their data than they currently enjoy. Financial penalties for violations are potentially severe, based on a calculation of 4 percent of annual global revenue or €20 million - whichever is greater. Much of the debate about GDPR on this side of the Atlantic has been hypothetical or academic, with many companies and marketers treating the new privacy regulations as something happening "in Europe" and not applying to the North American market or data collection practices here. It's extremely unlikely that any new national legislation or regulations resembling GDPR will come to pass in the US. But with Top40-Charts' commitment to apply GDPR standards globally, we're proud to be a part of powerful global change for a more privacy-conscious Internet.